It’s what we step on after we’ve finished that twelfth brownie hoping our weight hasn’t changed. It is critical to our understanding of maps and floorplans; scale is integral to music and it may be the covering of some sea creatures. But Scale is also one of the established PRINCIPLES of design that artists and designers adhere to if their work is to be successful. 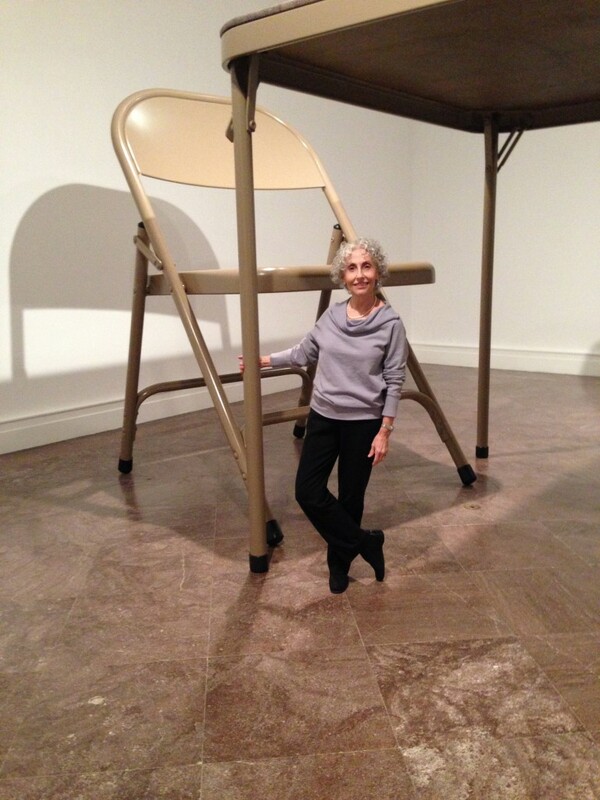 It’s the way we convey true size relationships between similar objects and spaces. Usually we make these size comparisons relative to the human body using the terms miniature, small scale, life-size, full scale, larger than life, monumental and other terms I’m sure you could devise such as: enormous, huge, wow! 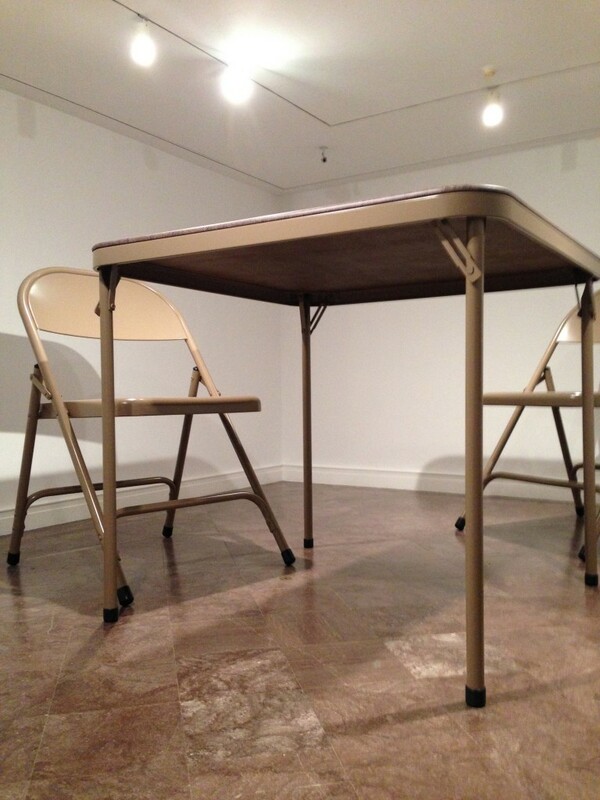 NO TITLE (Folding Table and Chairs, Beige), 2006. The pieces are actually larger than life. The artist is letting us view the familiar from a very different perspective. Much of what you see in a museum is “eyes only – don’t touch”, so when we can interact with art it adds an extra dimension to the experience. How old were you the last time you walked under a card table?